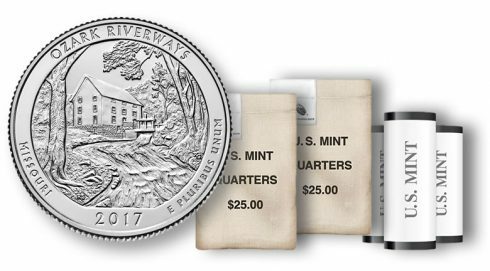 Rolls and bags of quarters celebrating Missouri’s Ozark National Scenic Riverways become available on Monday, June 5, 2017. 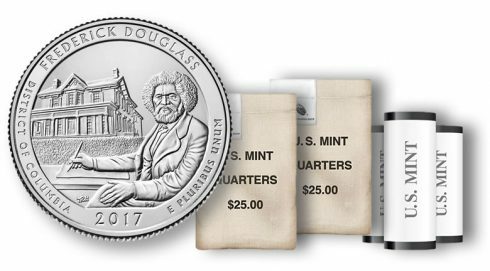 Rolls and bags of quarters honoring Frederick Douglass National Historic Site in Washington, D.C. go on sale Monday, April 3, 2017. 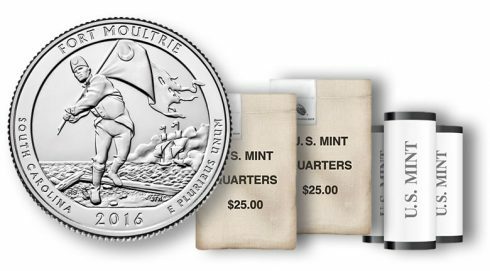 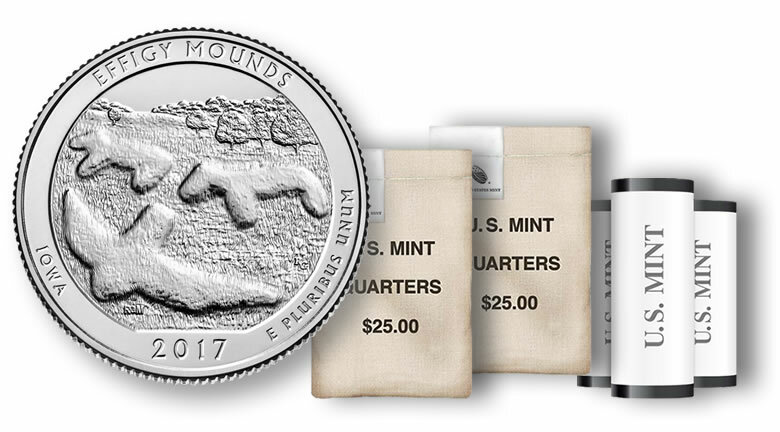 Rolls and bags of quarters commemorating Iowa’s Effigy Mounds National Monument become available on Monday, February 6, 2017. Quarters symbolic of South Carolina’s Fort Moultrie (Fort Sumter National Monument) go on sale this coming Monday, November 14, 2016. Quarters commemorating North Dakota’s Theodore Roosevelt National Park are available in rolls and bags beginning on Monday, August 29, 2016. 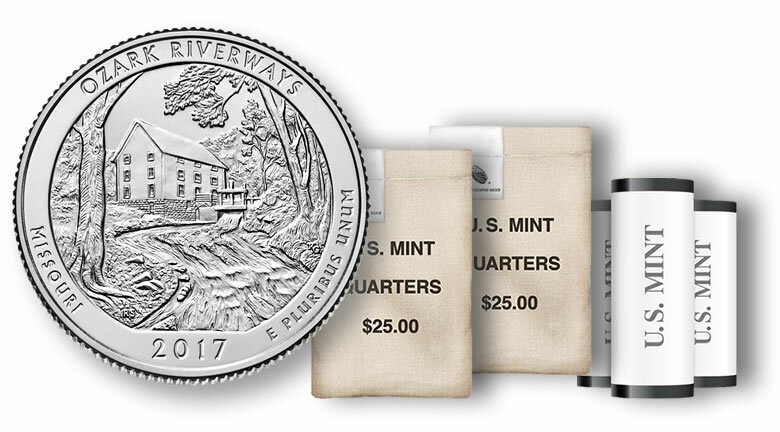 Quarters commemorating West Virginia’s Harpers Ferry National Historical Park will be available in rolls and bags beginning on Monday, June 6, 2016 at noon Eastern Time. 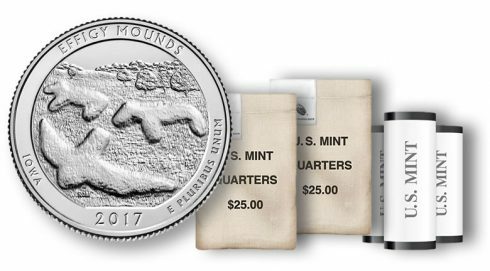 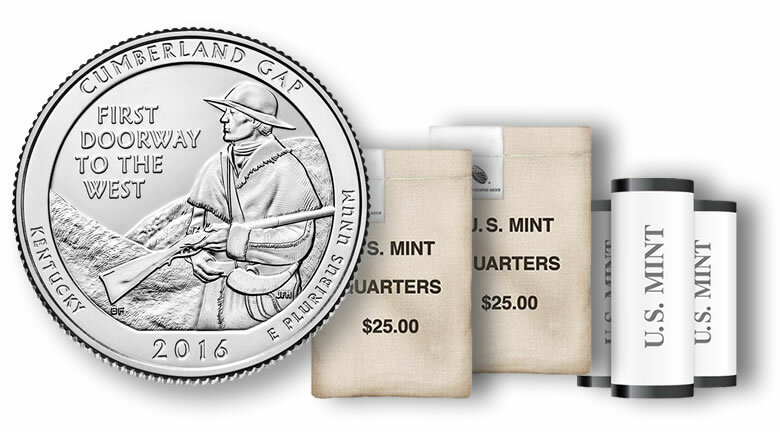 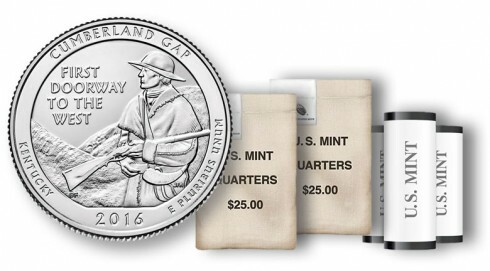 Quarters honoring Cumberland Gap National Historical Park of Kentucky will appear soon from the United States Mint in rolls and bags.